Armando Mercado is an Industrial Designer who graduated a long time ago from the Centro de Investigaciones de Diseño Industrial UNAM in Mexico City. His main field of activity has been in transportation design working with Douglas Scott and Daniel Mastretta. Some of his conceptual projects have received recognitions in Japan and the United States. 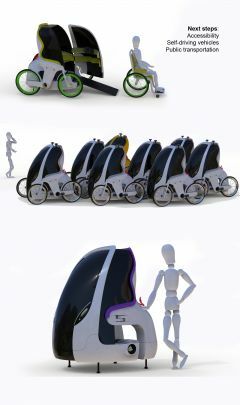 At present, he is the Industrial Design Coordinator at the Universidad Iberoamericana in Mexico City. 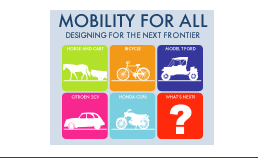 By taking the simplicity and efficiency of bicycles and comfort of automobiles, this alternative of an essential vehicle for change making countries is proposed in order to envision a respectful and affordable commuting. It is conceived as a “zero emission” mobility unit. 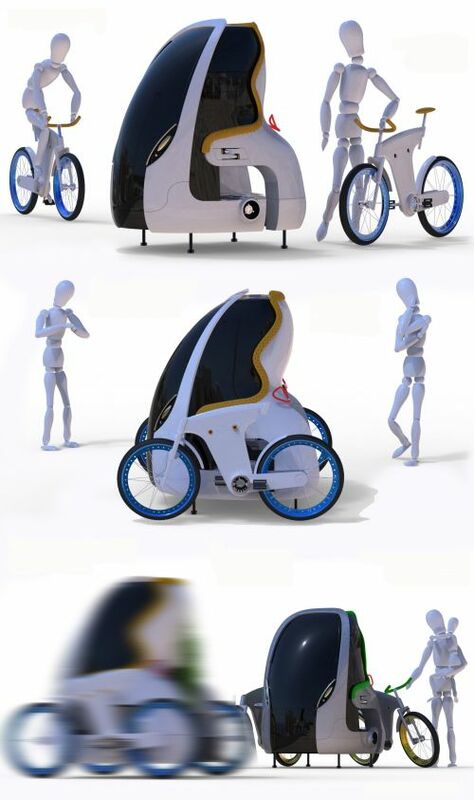 A complete electric vehicle is achieved when two bicycles are integrated to the cockpit and by assembling or disassembling “tires and wheels”, users may have the chance of choosing the appropriate kind of transportation to an underserved area. All this in a package that intertwines modalities to reduce the number of components, therefore, obtaining significant cost and environmental benefits. The cockpit offers full weather protection for two persons with a convenient cargo capacity. Full use of electronics and servo assistance is proposed to connect bicycles with the cockpit, controlling “drive by wire” steering, acceleration and braking when a more sheltered, intimate and effortless commuting experience is chosen. 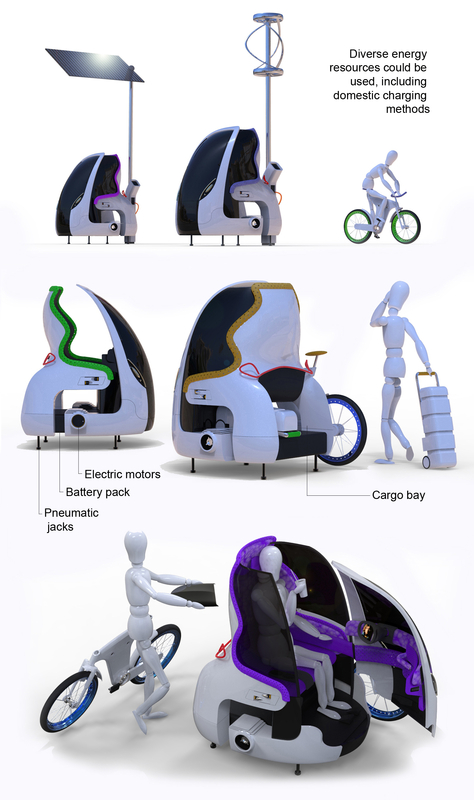 Adoption of emergent technologies such as self-driving vehicles will enhance passive safety and relaxation of users; also will contribute with a better space efficiency in the streets, and formations derived from biomimicry will improve aerodynamics of the group, getting lower energy consumption and approaching de benefits of mass transportation for all.